Ife people are ancient, originally spiritual, highly advanced artistic and agriculturalist Yoruboid-speaking people that forms the sub-group of the larger Yoruba people of West Africa, particularly in Nigeria and the Republic of Benin. The Ife people are "primus inter pares" when it comes the origin and spirituality of Yoruba. They are the first Yoruba people from which all other Yoruba people emerged and dispersed to form other Yoruba sub-groups in the world. Ife people are found precisely in the city of Ile-Ife, which sits in the Southwestern Nigerian State of Osun. This ancient "Yoruba Spiritual Mecca" of a city is surrounded by hills and is about fifty miles (80.467kms) to Ibadan and Osogbo. The city of Ile-Ife is also known as 'Ife' or 'Ilurun' which means ‘the gateway to heaven’ (Eluyemi 1986:16). The Ikedu tradition, though unpublicised is the oldest Ife tradition portraying the origin of the Yoruba people and it is clear from this tradition that Oduduwa did not belong to this early period of the emergence of the Yorubas’ as a distinct language group (Olatunji 1996). Okelola (2001) acknowledges that it is hard to establish when the city of Ile-Ife was founded but recognises that Oduduwa was the first King of Ile Ife Kingdom. Akinjogbin (1980),Olatunji (1996) and Adelogun (1999) contrary to Okelola (2001) suggests that there were between ninety three to ninety seven kings who reigned at Ile-Ife before Oduduwa led his people to Ile-Ife. This was confirmed by the archeological evidence unearthed in and around Ile-Ife which dated back to 410 B.C that proves the possibility of human settlement before the advent of Oduduwa (Adelogun 1999). Oduduwa though credited for the establishment of a centralised state at Ife is suggested to have encountered indigenous people in the region (Falola and Heaton, 2008). This centralised state formed by Oduduwa has contributed to the Kingdom of Ile-Ife being the strong hold of indigenous worship as well as the spiritual headquarters of the Yoruba Kingdom (Lucas 1948: Okelola 2001). Ile Ife translated as the spreading of the earth with 'Ife' meaning ‘wide’ or and the prefix 'Ile' meaning ‘home’ could refer to the creation of the whole world (Smith 1988). Harris (1997) describes Ile-Ife as ‘the place where things spread out, where people left’. There are suggestions that the present Ife town does not stand upon its original site due to difficulty in establishing a coherent account of the past of Ife (Crowder 1962, Smith 1988). Despite the above suggestions Ile Ife is claimed to be the mother city whence all Yoruba people hailed: this is apparent as each princedom were founded and situated few miles from the mother city (Okelola 2001). This myth provides the charter for the Yoruba people, providing them with a sense of unity through a common origin (Bascom 1969). Ile Ife in the Yoruba belief is the oldest of all the Yoruba towns given that it was from Ile Ife that all other towns were founded (Krapf-Askari, 1969). the town provides the fundamental and continuity of great deal of identity conceptualization for the modern Yoruba with it's role as a center from which Yoruba culture emanates and a place for validation of Yoruba authority (Harris 1997). The early written records that mentionss Ife was during the early fourteenth century High Florescence Era when the well-known adventurer, historian and travelor Ibn Battûta(1325–1354) mentioned them in his travelogue. Here we read (1958:409–10) that southwest of the Mâlli (Mali) kingdom lies a country called Yoûfi [Ife?] that is one of the “most considerable countries of the Soudan [governed by a] …souverain [who] is one of the greatest kings.” Battûta’s description of Yoûfi as a country that “No white man can enter … because the negros will kill him before he arrives” appears to reference the ritual primacy long associated with Ife, in keeping with its important manufacturing and mercantile interests, among these advanced technologies of glass bead manufacturing, iron smelting and forging, and textile-production. Blue-green segi beads from Ife have been found as far west as Mali, Mauritania, and modern Ghana, suggesting that Battuta may well have learned of this center in the course of his travels in Mali. Ife is well known as the city of 401 or 201 deities. It is said that every day of the year the traditional Ifa worshippers celebrate a festival of one of these deities. Often the festivals extend over more than one day and they involve both priestly activities in the palace and theatrical dramatisations in the rest of the kingdom. Because of Ife’s importance in the realm of creation, it has many traditional festivals to commemorate the many deities known in the history of the city and in Yoruba land. The most spectacular festivals demand the King's participation. These include the Itapa festival for Obatala and Obameri, the Edi festival for Moremi Ajasoro, and the Igare masqueraders, and the Olojo festival for Ogoun. During the festivals and at other occasions the traditional priests offer prayers for the blessing of their own cult-group, the city of Ile Ife, the Nigerian nation and the whole world. 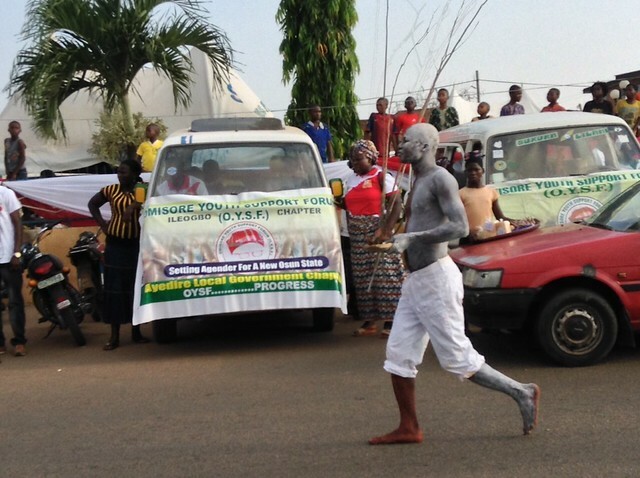 Ile Ifa Ifa practitioners in a street procession in celebration of the anniversary of the Orisha Obatala festival. The Oòni (or king) of Ife claims direct descent from Oduduwa, and is counted first among the Yoruba kings. He is traditionally considered the 401st deity (òrìshà), the only one that speaks. In fact, the royal dynasty of Ife traces its origin back to the founding of the city more than two thousand years ago. The present ruler is Alayeluwa Oba Okunade Sijuwade, Olubuse II, styled His Imperial Majesty by his subjects. The Ooni ascended his throne in 1980. Following the formation of the Yoruba Orisha Congress in 1986, the Ooni acquired an international status the likes of which the holders of his title hadn't had since the city's colonisation by the British. Nationally he had always been prominent amongst the Federal Republic of Nigeria's company of royal Obas, being regarded as the chief priest and custodian of the holy city of all the Yorubas. In former times, the palace of the Oni of Ife was a structure built of authentic enameled bricks, decorated with artistic porcelain tiles and all sorts of ornaments. According to Fashogbon (1995) recounting the oral historical handout of the ancient Yoruba town of Ile-Ife submits that “it is the first creation in this world”. Ile-Ife is the holy city, the home of divinities and mysterious spirits, the source of all oceans and the gateway to heaven. A school of thought even speculates that Ile-Ife was the seat of civilization from where Egypt received its civilization which later spread to the Hebrews and the Babylonians then to the Chaldeans, the Persians, the Greeks, the Romans and finally to the Britons (Fabunmi, 1969). Ile-Ife, Ooye Lagbo Ile-Ife the city of the Survivors. Ori-olokun sculpture which sits at the entrance of the ancestral city of Ile Ife. The ancient city is home to beautifully preserved artworks in bronze and terracotta which holds the potential for authentic ethnological studies of Yoruba culture, these are on show in its museum of Ife antiquities located in the Kings palace at Enuwa Square Ile Ife. Yoruba oral history even testifies to it that Oduduwa the progenitor of the Yoruba, and other ‘Leaders of Mankind’ (deities and divinities) were the Survivors (Ooye Lagbo) after the deluge and that they were the founders of Ile-Ife whence the people migrated to the different territories they presently occupy (Fashogbon, 1995). 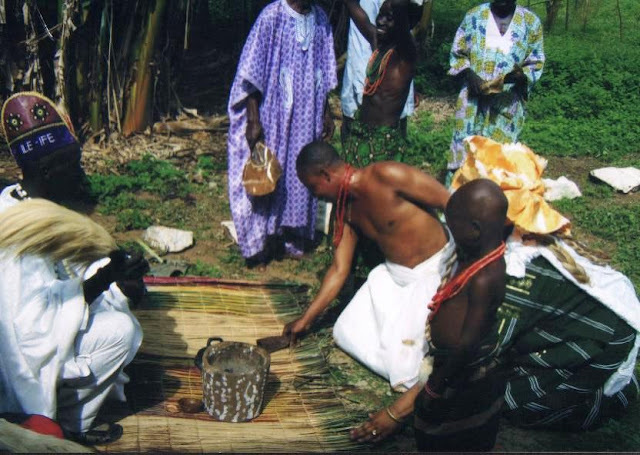 Yoruba people see Ife as a place where the founding deities Oduduwa and Obatala began the creation of the world, as directed by the paramount deity Olodumare. Obàtálá created the first humans out of clay, while Odùduwà became the first divine king of the Yoruba. But it must be emphasised that Oduduwa and Obatala met aboriginal people on the land. Regardless of the considerable differences between the various Yoruba myths as to which deity could claim to be the world's creator, all agree on one factor, the presence of a hunter named Ore at the time. In the most widespread account, when Odudua came down to create the Earth, he found that Ore, an aboriginal hunter, was already established there (Idowu, 23). In the major opposing legend, in which Obatala is credited with creating the world, Ore (Oreluere) is said to have come down with the first party that Obatala sent to Earth (Idowu, 20). Both versions express concern for a legitimate claim to the Ife lands (i.e., creation of) and, in turn, control over them. Though the accounts differ as to the creator (Odudua or Obatala), they both indicate that the hunter Ore (Oreluere) had rightful claim to the land. Interestingly, according to T. J. Bowen (Adventures and Missionary Labours in Several Countries in the Interior of Africa from 1849 to 1956, London, 1857, 267), the "great mother" of the Yoruba is worshipped under the name of Iymmodeh (Iya ommoh Oddeh) "the mother of the hunter's [i.e., Ore's] children." Yoruba religious history, emerged most likely in the aftermath of the establishment of Ife’s second dynasty in about 1300 CE when many of Ife’s famous early arts appear to have been made, a period closely identified with King Obalufon II. This ruler is credited not only with bringing peace to this center, and with commissioning an array of important arts (bronze casting, beaded regalia, weaving), but also with a new city plan in which the palace and market are located in the center surrounded by various religious sanctuaries arrayed in relationship to it. This plan features four main avenues leading into the city, each roughly running along a cardinal axis through what were once manned gates that pierced the circular city walls at points broadly consistent with the cardinal directions. The plan of Ile-Ife, which may have housed some 125,000 inhabitants in that era, offers important clues into early Yoruba views of both cosmology and directional primacy. Ooni (King) of Ile Ife, Alayeluwa Oba Okunade Sijuwade, Olubuse II. He is also Nigeria`s second richest King and Africa`s third richest king with his net worth at least $75 million . His money comes from Construction, Property, and Oil. Source www.fuse.com. In Ife artistic works, important people were often depicted with large heads because the artists believed that the Ase was held in the head, the Ase being the inner power and energy of a person. Their rulers were also often depicted with their mouths covered so that the power of their speech would not be too great. They did not idealize individual people, but they tended rather to idealize the office of the king. The city was a settlement of substantial size between the 9th and 12th centuries, with houses featuring potsherd pavements. Ilé-Ifè is known worldwide for its ancient and naturalistic bronze, stone and terracotta sculptures, which reached their peak of artistic expression between 1200 and 1400 A.D. After this period, production declined as political and economic power shifted to the nearby kingdom of Benin which, like the Yoruba kingdom of Oyo, developed into a major empire. Bronze and terracotta art created by this civilization are significant examples of realism in pre-colonial African art. In his book, "The Oral Traditions in Ile-Ife," Yemi D. Prince referred to the terracotta artists of 900 A.D. as the founders of Art Guilds, cultural schools of philosophy, which today can be likened to many of Europe's old institutions of learning that were originally established as religious bodies. These guilds may well be some of the oldest non-Abrahamic African centres of learning to remain as viable entities in the contemporary world. A major exhibition entitled Kingdom of Ife: Sculptures of West Africa, displaying works of art found in Ife and the surrounding area, was held in the British Museum from 4 March to 4 July 2010. Today a mid-sized city, Ife is home to both the Obafemi Awolowo University and the Natural History Museum of Nigeria. Its people are of the Yoruba ethnic group, one of the largest ethnolinguistic groups in Africa and its diaspora (The population of the Yoruba outside of their homeland is said to be more than the population of Yoruba in Nigeria, about 35 million). Ife has a local television station called NTA Ife, and is home to various businesses. It is also the trade center for a farming region where yams, cassava, grain, cacao, and tobacco are grown. Cotton is also produced, and is used to weave cloth. Hotels in Ilé-Ife include Cameroon Hotel, Hotel Diganga Ife-Ibadan road, Mayfair Hotel, Obafemi Awolowo University Guest House etc. Ilé-Ife has a stadium with a capacity of 9,000 and a second division professional league football team. The Orunmila Barami Agbonmiregun, the World Ifa Festival was held Saturday June 4-5, 2011 at Oketase the World Ifa Temple, Ile-Ife. The Yoruba claim to have originated in Ife. According to their mythology, Olodumare, the Supreme God, ordered Obatala to create the earth but on his way he found palm wine, drank it and became intoxicated. Therefore the younger brother of the latter, Oduduwa, took the three items of creation from him, climbed down from the heavens on a chain and threw a handful of earth on the primordial ocean, then put a cockerel on it so that it would scatter the earth, thus creating the land on which Ile Ife would be built. Oduduwa planted a palm nut in a hole in the newly formed land and from there sprang a great tree with sixteen branches, a symbolic representation of the clans of the early Ife city-state. The usurpation of creation by Oduduwa gave rise to the ever lasting conflict between him and his elder brother Obatala, which is still re-enacted in the modern era by the cult groups of the two clans during the Itapa New Year festival. On account of his creation of the world Oduduwa became the ancestor of the first divine king of the Yoruba, while Obatala is believed to have created the first humans out of clay. The meaning of the word "ife" in Yoruba is "expansion"; "Ile-Ife" is therefore in reference to the myth of origin "The Land of Expansion". Due to this fact, the city is commonly regarded as the cradle of not just the Yoruba culture, but all of humanity as well, especially by the followers of the Yoruba faith. Oduduwa had sons, daughters and a grandson who went on to found their own kingdoms and empires, namely Ila Orangun, Owu, Ketu, Sabe, Popo, Oyo and Benin. Oranmiyan, Oduduwa's last born, was one of his father's principal ministers and overseer of the nascent Edo empire after Oduduwa granted the plea of the Edo people for his governance. When Oranmiyan decided to go back to Ile Ife after a period of service in Benin, he left behind a child named Eweka that he had in the interim with an indigenous princess. The young boy went on to become the first legitimate ruler of the second Edo dynasty that has ruled what is now Benin from that day to this. Oranmiyan later went on to found the Oyo empire that stretched at its height from the western banks of the river Niger to the Eastern banks of the river Volta. It would serve as one of the most powerful of Africa's medieval states prior to its collapse in the 19th century. 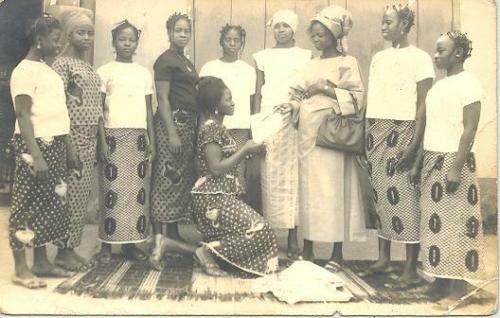 The people of Ife speak a unique and authentic Central Yoruba (CY) dialect of Yoruba language which belongs to the larger Niger-Congo language family. Apart from Ife, the other Yoruba sub-groups that speak Central Yoruba (CY) dialects are Igbomina, Yagba, Ilésà, Ekiti, Akurẹ, Ẹfọn, and Ijẹbu areas. In the southern forested region of Nigeria, the largest centralized states were the kingdoms centered on Ile-Ife and Benin which emerged by 1500 CE and the origins of the Ife natives are lost in antiquity (Falola and Heaton 2008, Osasona et al 2009). According to Biobaku (1955) the town was probably founded between the 7th and 10th centuries AD; Jeffrey (1958) opines that it had become a flourishing civilization by the 11th Century. Carbon-dating yielded from work of archaeologists appears to support these views, as it establishes that Ile Ife “was a settlement of substantial size between the 9th and 12th centuries” (Willett, 1971:367, Smith 1988). Drewal et al (1998)also suggested that the site of Ile–Ife was occupied as early as 350 B.C. and consisted of a cluster of hamlets; though little is known about the early occupants except for a city wall at Enuwa and later the construction of another outer city wall. Traditionally, Ile-Ife was divided into five quarters namely Iremo, Okerewe, Moore, Ilode and Ilare and within each quarter were compounds with family lineages (Eluyemi 1978). The traditional Ife kingdom, schematically, could be described as a wheel, with the Oba’s palace as the hub, from which roads radiated like spokes and in relation to which the en-framing town wall represented the rim (Krapf-Askari, 1969; Obateru, 2006). Ile–Ife is regarded therefore as the metropolis of old Yoruba. Though suggested by various scholars including Johnson (1921); Lucas (1948); and Ajayi and Crowther (1972) that Ile-Ife is fabled as the spot where God created man, white and black and from whence they dispersed all over the earth it is yet to be scientifically proven. 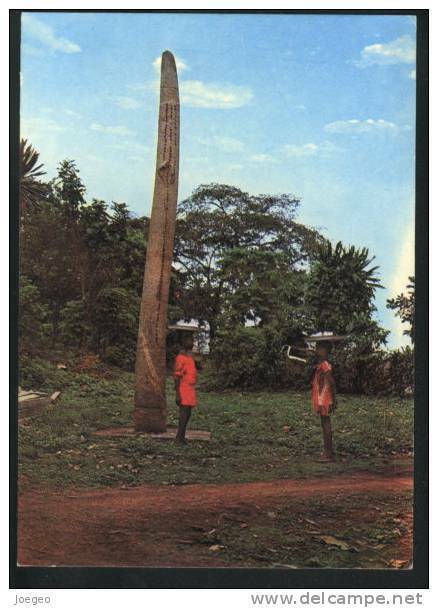 Fabunmi (1969) further argued that Ile Ife is further regarded and believed to be the cradle of the world. The history of Ile Ife though unwritten is based on oral traditions and referred to as the original home of all things, the place where the day dawns; the holy city, the home of divinities and mysterious spirits (Okelola, 2001). It is however believed that the tradition of the world and of the origin of the peoples and their state centers on Ile Ife, the source whence all the major rulers of the then southern Nigeria derive the sanctions of their kingship where gods, shrines and festivals forms the center of religion (Smith 1988). Ile Ife translated as the spreading of the earth with 'Ife' meaning ‘wide’ and the prefix 'Ile' meaning ‘home’ could refer to the creation of the whole world (Smith 1988). Harris (1997) describes Ile-Ife as ‘the place where things spread out, where people left’. 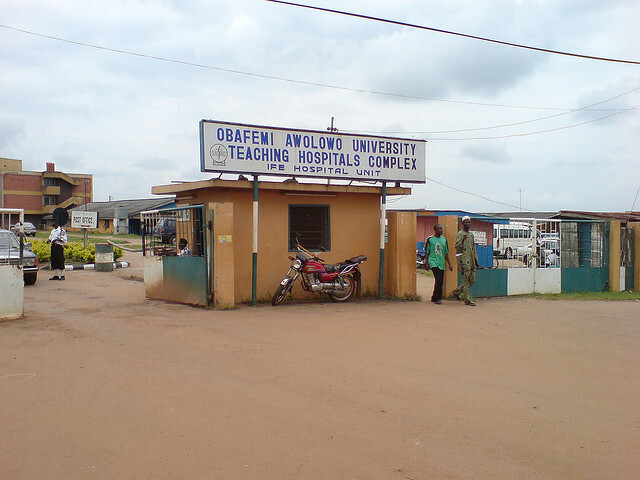 There are suggestions that the present Ife town does not stand upon its original site due to difficulty in establishing a coherent account of the past of Ife (Crowder 1962, Smith 1988). Despite the above suggestions Ile Ife is claimed to be the mother city whence all Yoruba people hailed: this is apparent as each princedom were founded and situated few miles from the mother city (Okelola 2001). This myth provides the charter for the Yoruba people, providing them with a sense of unity through a common origin (Bascom 1969). Ile Ife in the Yoruba belief is the oldest of all the Yoruba towns given that it was from Ile Ife that all other towns were founded (Krapf-Askari, 1969). the town provides the fundamental and continuity of great deal of identity conceptualization for the modern Yoruba with it's role as a center from which Yoruba culture emanates and a place for validation of Yoruba authority (Harris 1997). There was a monarch called Ogane who reigned in ancient Ife whom modern scholars have identified as the Ooni of Ife (Pereira 1937, Krapf-Askari 1969, Harris, 1997). The Ooni or Onife is regarded as the spiritual head of the Yoruba whose influence was not confined to his own kingdom but was also exercised over other Yoruba kingdoms through the sanctions of kinship and by ancient constitutional devices (Smith 1988). The Ooni is believed to be a sacred being because he sits on the throne of Oduduwa at Ile-Ife. 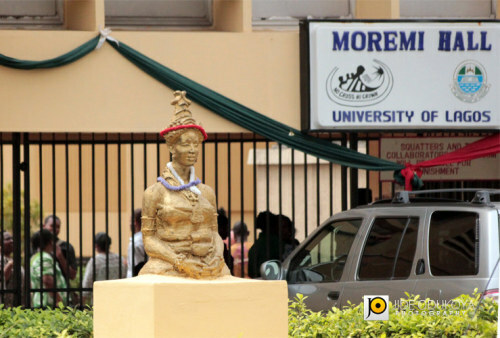 Statue of Moremi at Moremi Hall (UNILAG) . Moremi was the wife of Oranmiyan. A woman of tremendous beauty and a faithful and zealous supporter of her husband and the Kingdom of Ile Ife. The Ikedu tradition, though unpublicised is the oldest Ife tradition portraying the origin of the Yoruba people and it is clear from this tradition that Oduduwa did not belong to this early period of the emergence of the Yorubas’ as a distinct language group (Olatunji 1996). Okelola (2001) acknowledges that it is hard to establish when the city of Ile-Ife was founded but recognises that Oduduwa was the first King of Ile Ife Kingdom. Akinjogbin (1980),Olatunji (1996) and Adelogun (1999) contrary to Okelola (2001) suggests that there were between ninety three to ninety seven kings who reigned at Ile-Ife before Oduduwa led his people to Ile-Ife. This was confirmed by the archeological evidence unearthed in and around Ile-Ife which dated back to 410 B.C that proves the possibility of human settlement before the advent of Oduduwa (Adelogun 1999). Oduduwa though credited for the establishment of a centralised state at Ife is suggested to have encountered indigenous peop,le in the region (Falola and Heaton, 2008). This centralised state formed by Oduduwa . has contributed to the Kingdom of Ile-Ife being the strong hold of indigenous worship as well as the spiritual headquarters of the Yoruba Kingdom (Lucas 1948: Okelola 2001). The city of Ile-Ife today sits in what is today Osun State in southern Nigeria located on the longitude 4.6N and 7.5°N, surrounded by hills and is about fifty miles (80.467kms) to Ibadan and Osogbo (Philips, 1852; White, 1876). The city popularly known to as Ile-Ife and the people are referred to as 'Ife' who also refer to the town as 'Ife' or 'Ilurun' which means ‘the gateway to heaven’ (Eluyemi 1986:16). Confirmed to be situated on the site of ancient Ile Ife due to the location of the seven brass castings excavated from the ancient Ife sites which were in corresponding stratigraphic positions confirming that a settlement of substantial size existed there between the ninth and twelfth centuries (Willet, 1967). He also confirmed that the terracotta sculpture and lost wax (cire-perdue) castings were made there from early in the present millennium. Ile-Ife’s prominence in the ritual system like 'Ifa' and 'Ijala' has helped in preserving the city’s significance in Yoruba culture despite its political decline. Adelekan, the then recently crowned king of Ife. Johnson explains that the king gave them to Governor Carter in an effort to gain a positive decision concerning the resettlement of Modakeke residents outside the city. Olubuse was nicknamed 'ERIOGUN'; Akitikori; Ebitikimopiri. 48TH ADEMILUYI (AJAGUN) - He also was reputed to be a powerful Monarch. His Royal Highness, Aleyeluwa, Oba Okunade Sijuade, Olubuse II, The Oni of Ife, Ile Ife, Osun State, arriving at the National Museum, Onikan Lagos for the opening ceremony in his car, on Friday, May 18, 2012..
Like most towns, the people are religion conscious. The three main religions in the city are Christianity, Islam and traditional. Traditional religion appears flourishing than the other two as most people who belong to either of the former two also have soft spot for the age-long religion. So being a Christian or a Moslem does not preclude you from the traditional religion, which the elders hold in high esteem. It is not uncommon to be a leader in a denomination and still hold chieftaincy title that has to do with shrine. Here, Olojo is the biggest festival on the Ife cultural calendar. This festival is held annually to commemorate Oduduwa’s descent from heaven. It is during the Olojo festival that Ooni wears Aare crown. Aare is a mysterious crown worn only once in a year and it is believed to possess the power that instantly transfigure Ooni to the rank of Orisa (god). With 201 traditional religious festivals, it is only one day that is free that the people do not offer sacrifice at the various shrines that dot the town. This particular day remains a secret the chief and priests of the kingdom keep so dear to the heart. Ifa is another sect that attracts good number of the people. Unlike what obtains in most other towns where Ifa worship is individualized and confined to illiterate priests or Babalawo in ramshackled buildings, it has been modernised such that one may mistake its worship centre for a church. Incidentally, their worship session is on Sunday like their Christian counterparts. When Sunday Sun visited the imposing Ifa Auditorium on top of a hill, near Ife Town Hall, children were seen playing unmolested. The children admitted that they also worship in the Ifa hall along with the elders. The main auditorium is the Headquarters of Ifa Worship Worldwide, which was being prepared to host a meeting of all worshippers round the globe last month. Araba is the chief priest. Some of the main gods they worship include Obatala, Ogun, Olokun, Orunmila, Olojo, Sango, Ifa, Osun, Ela, Oya, Yemoja, Oranmiyan. These are what they call ‘sky gods’ that control virtually everything on earth. Many hold that Ife is a fetish town ruled by powers of darkness, but the chiefs and leaders of the town think otherwise. Such views to them can only be from one who is mentally unstable. One of the oldest Stone buildings in Ile-Ife is the beautifully preserved Seventh Day Adventist church built over a 100 years ago. The people love dressing well in either their native attire or westernized way. 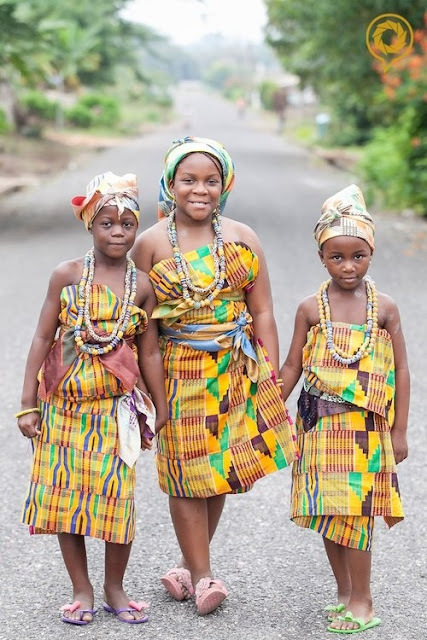 Though English garb has eroded the traditional pattern of dressing like in other Nigerian cities, native wears are still prevalent among the middle age and the elderly. When an Ife man puts on Buba, he dons cap to complete the dressing. The women are even more compliant in matters of tradition. Though Chief Ijaodola claimed that Aso Ofi is the main custume of his people, Ankara fabric is the commonest textile of the people today. The Ooni himself is an example in splendid sartorial taste. Each time he comes out, he is pleasant to behold in his expensive apparel. One thing very noticeable in the dressing of Ife people is that a high sense of discipline and morality is still displayed. It is almost impossible to see a lady-young or old in revealing clothes or in one that shows the upper or lower cleavage. Not even with Ife being a university town will one see beckoning types of dressing on its streets. II). Nigeria National Museums, Lagos Mus. reg. My analysis moves away from the recent framing of ancient Ife art from the vantage of Yoruba cultural practices collected in Nigeria more broadly, and/or the indiscriminate use of regional and modern Yoruba proverbs, poems, or language idioms to inform this city’s unique 700-year-old sculptural oeuvre. Instead I focus on historical and other considerations in metropolitan Ife itself. This shift is an important one because Ife’s history, language, and art forms are notably different than those in the wider Yoruba region and later eras. My approach also differs from recent studies that either ahistorically superimpose contemporary cultural conventions on the reading of ancient works or unilinearly posit art development models concerning form or material differences that lack grounding in Ife archaeological evidence. My aim instead is to reengage these remarkable ancient works alongside diverse evidence on this center’s past and the time frame specific to when these sculptures were made. In this way I bring art and history into direct engagement with each other, enriching both within this process. One of the most important events in ancient Ife history with respect to both the early arts and later era religious and political traditions here was a devastating civil war pitting one group, the supporters of Obatala (referencing today at once a god, a deity pantheon, and the region’s autochthonous populations) against affiliates of Odudua (an opposing deity, religious pantheon, and newly arriving dynastic group). The Ikedu oral history text addressing Ife’s history (an annotated kings list transposed from the early Ife dialect; Akinjogbin n.d.) indicates that it was during the reign of Ife’s 46th king—what appears to be two rulers prior to the famous King Obalufon II (Ekenwa? Fig. 1)—that this violent civil war broke out. This conflict weakened the city enough so that there was little resistance when a military force under the conqueror Oranmiyan (Fig. 2) arrived in this historic city. The dispute likely was framed in part around issues of control of Ife’s rich manufacturing resources (glass beads, among these). Conceivably it was one of Ife’s feuding polities that invited this outsider force to come to Ife to help rectify the situation for their side. of the first (Obatala) dynasty and at the beginning of the second (Odudua) dynasty. He is also credited with bringing peace (a negotiated truce) to the once feuding parties. truce that Obalufon II is said to have brokered once he returned to power between the embattled Ife citizens as he brought peace to this long embattled city (Adediran 1992:91; Akintitan p.c.). As part of his plan to reunite the feuding parties, Obalufon II also is credited with the creation of a new city plan with a large, high-walled palace at its center. Around the perimeters, the compounds of key chiefs from the once feuding lineages were positioned. King Obalufon II seems at the same time to have pressed for the erection of new temples in the city and the refurbishment of older ones, these serving in part to honor the leading chiefs on both sides of the dispute. Ife’s ancient art works likely functioned as related temple furnishings. Allison 1968:13). Features of the sculpture suggest a dwarf or sufferer of a congenital disorder in keeping with the identity of many first (Obatala) dynasty shrine figures with body anomalies or disease. Regalia details also offer clues. A three-strand choker encircles Olofefura’s neck; three bracelet coils embellish the wrist; three tassels hang from the left hip knot. These features link this work—and Ore—to the earth, autochthony, and to the Ogboni association, a group promoted by Obalufon II in part to preserve the rights of autochthonous residents. Both here and in ancient Ife art more generally, however, there is striking variability in related body proportions. Such ratios range from roughly 1:4 for the Ore grove deity figure (Fig. 4), the complete copper alloy king figure (Fig. 15), the couple from Ita Yemoo (Fig. 8), and many of the terracotta sculptures, to roughly 1:6 for the taller stone Ore grove figures (Fig. 5) and the copper seated figure from Tada (Fig. 11). Why these proportional differences exist in Ife art is not clear, but issues of class and/or status appear to be key. Whereas sculptures of Ife royals and gods often show 1:4 ratios, most nonroyals show proportions much closer to life. In ancient Ife art, the higher the status, the greater likelihood that body proportions will differ from nature in ways that greatly enhance the size of the head. This not only highlights the head as a prominent status and authority marker, but also points to the primacy of social difference in visual rendering. large and deep pot (container)” and by extension anything that is of “sizable worth” and/or “superior quality.” This word features centrally in the name for the high god, Ol-odù-marè. According to Idowu (1962:34) the latter use of the term signifies “He is One who is superlative,” odù here invoking his very extraordinariness. Because large ceramic vessels called odù were employed in ancient Ife contexts as containers for highly valued goods such as beads and art (including the Ita Yemoo king figure, Fig. 16), this idiom offers an interesting modern complement and descriptor for early Ife sculptural portrayals of gods and kings as containers holding many benefits. A complementary feature of many ancient Ife works is that of composure or inner calm (àìkominún, “tranquility of the mind” in modern Yoruba; Abraham 1958:388). This notable quality finds potential expression through the complete repose shown in their faces of early Ife art (Figs. 1, 15, 16), a quality that increases the sense of monumentality and power in these remarkable works. Queen Moremi) as well as Ife origin myths in which the Earth is said to have been formed only after Odudua sprinkled dirt upon the water’s surface (Idowu 1962, Blier 2004). One especially striking art-rich Ife site that also seems to have been identified with Obalufon II and his famous political truce is Ita Yemoo, the term yemoo serving as the title for first dynasty Ife queens. This temple complex lies near the site where the annual Edi festival terminates. The Edi ritual is dedicated to Obalufon II’s wife, Moremi, who also at one time was married to Obalufon II’s adversary, the conqueror Oranmiyan. One of the most striking works from Ita Yemoo is a copper alloy casting of a king and queen (Fig. 8) with interlocked arms and legs. The male royal wears a simian skull on his hip, a symbol of Obatala (monkeys evoking the region’s early occupants) and this deity’s identity with Ife’s autochthonous residents and first dynasty line. The female points toward the ground, gesturing toward Odudua as both second dynasty founder and later Yoruba earth god. This royal couple appears to reference in this way not only the painful Ife dynastic struggle between competing Ife families and chiefs, but also the political and religious marriage promoted by Obalufon II between the these groups as part of his truce. Interestingly, a steatite head recovered by Frobenius at Offa (Moremi’s hometown north of Ife) wears a similar queen’s crown. Offa is adjacent to Esie where a group of similar steatite figures were found. These Esie works conceivably also were identified with Moremi, the local heroine who became Ife’s queen. Queen Moremi, the wife of Obalufon II. evokes both the punishment that befell supporters of either dynastic group committing serious crimes and the unity of the two factions in state rituals involving human offerings, among these coronations. This scepter mount’s weight and heightened arsenic content reinforces this identity. A larger Janus scepter mount from this same site depicts on one side a youthful head and on the other a very elderly man, consistent with two different dynasty portrayals, and the complementary royal unification/division themes. ways not only to King Obalufon II, but also to Ife trade, regional economic vitality, and the key role of this ruler in promoting Ogboni (called Imole in Ife), the association dedicated to both autochthonous rights and trade. The work is stylistically very similar to the Obalufon mask (Fig. 1). Both are made of pure copper and were probably cast by members of the same workshop. Although the forearms and hands of the seated figure are now missing, enough remains to suggest that they may have been positioned in front of the body in a way resembling the well-known Ogboni association gestural motif of left hand fisted above right (Fig. 12). This same gesture is referenced in the smaller standing figure (also cast of pure copper) from this same Tada shrine (Fig. 13). Obalufon descendant Olojudo reaffirmed (p.c.) the gestural identity of the standing Tada figure. As I have argued elsewhere (1985) Yoruba works of copper are associated primarily with Ogboni and Obalufon, consistent with the latter ruler’s association with bronze casting and economic wellbeing. Another notable Ogboni reference in these two copper works from Tada is the diamond-patterned wrapper (Morton Williams 1960:369, Aronson 1992) tied at the left hip with a knot. How the ancient Ife seated sculpture (and other works) found their way to this Tada shrine has been a subject of consider able scholarly debate. I concur with Thurstan Shaw in his view (1973:237) that these sculptures most likely were brought to this critical river-crossing point because of the site’s identity with Niger River trade. As Shaw notes (1973:237) these works seem to be linked to Yoruba commercial engagement along the Niger River “… marking perhaps important toll or control points of that trade.” Specifically, the seated Tada figure offers important evidence of Ife’s early control of this critical Niger River crossing point. Copper alloy castings of an elephant and two ostriches (animals identified with valuable regional trade goods) which were found on this same Tada site likely reference the importance of ivory and exotic feathers in the era’s long distance trade. The goddess Olokun (Fig. 14) who spans both the first and second dynasty religious pantheons, is closely identified with promoting related commerce. figure of a king found in Benin (Fig. 17). second (Odudua) dynasties shown here in ritual battle. tiers of beads while the plain-faced king’s cap shows only three. These differences both in crown diadem shapes and bead rows suggest that, among other things, the king bearing the vertical line facial marks and rosette-form diadem (the Wunmonije site ruler) carries a rank that is both different from and in some ways higher than that of the plain-faced royal. rosettes suggest the importance of plants (flowers), and the primacy of ancient land ownership and gods to the Obatala group. heads from Ife’s Lafogido site. Both animals seem to be connected to the Odudua line and the associated sky deity pantheon of Sango among others (Idowu 1962:94, 142; Matory 1994:96). instantiates the first dynasty or Obatala rulership line. The plain-faced ruler with concentric circle diadem evokes the second or Odudua royal line. Number symbolism in diadem and other forms is important in these and other ancient Ife art works serving to mark grade and status. According to Ife Obatala Chief Adelekan (p.c), eightpetal rosettes are associated with higher Obatala grades. That the Wunmonije king figure wears an eight-petal rosette (Fig. 15) while the Aroye vessel (Fig. 18) and Olokun head (Fig. 14) incorporate sixteen-petal forms is based on power difference. Eight is the highest number accorded humans, suggests Chief Adelekan, whereas sixteen is used for gods. One of the most striking differences in the two royal figures and other Ife arts can be seen in the variant facial markings. Scholars have put forward several explanations for these facial pattern disparities in Ife and early regional arts. Among the earliest were William Fagg and Frank Willett (1960:31), who identified vertical line facial marks with royal crown veils and the “shadows” cast onto the face by associated strings of beads. This is highly unlikely, however, since many ancient works depicting women and non-royals without crowns display the same vertical facial patterns. Moreover, of the two copper-alloy king figures (Figs. 15–16), only one shows vertical marks, and they both wear a kind of cap (oro) that does not include a beaded veil. Modern woodcarvings of Ife royals wearing traditional veiled crowns also do not show vertical line facial marks. Due to related inconsistencies, Willett would later retract his original shade-line theory and Fagg would not again discuss this in his later scholarship. As suggested above, the presence and lack of vertical facial marks on the two Ife king figures further reinforces the identity of these rulers as leaders of the two competing dynasties. facial markings at all, in keeping with modern Ife traditions forbidding facial marking for members of Ife resident families. noteworthy. Like a majority of ancient Ife sculptures with and without facial marks, these works appear to date to the same period, underscoring the fact that different groups were living together at Ife at this time. Like the Wunmonije king figure (Fig. 15), the bronze head associated with the goddess Olokun (Fig. 14) also has vertical facial marks and a rosette-decorated crown. Olokun, the ancient Ife finance minister and later commerce, bead, and sea god, is said to date to Ife’s first dynasty. The copper alloy head now in the British Museum, with both vertical facial marks and a concentric circle diadem, appears to reference a chief in one of Ife’s autochthonous lineages (e.g. a number of first dynasty elite) who lived in Ife in the early second dynasty era before the ban on facial marking took effect. (Owomoyela n.d. n.p. ; Willett 1967:Figs. 13–14, pl. 23; see also discussion in Fagg and Willett 1960:31, Drewal 1989:238–39 n. 65). Interestingly, sculptures depicting these thick lines characteristically show flared nostrils and furled brows, suggesting the pain that accompanied facial blistering practices such as these. Several Florescence Era Ife terracotta heads (roughly 5 percent of the whole) display three elliptical “cat whisker” facial marks at the corners of the mouth (Fig. 25) similar to those associated with more recent northeastern Yagba Yoruba, a group who later came under Nupe rule.17 In one such sculpture, the marks extend into the cheeks in a manner consistent with later Yoruba abaja facial markings, indicating an historic connection between the two. According to Andrew Apter (p.c. ), a group of Yagba Yoruba occupy an Ife ward where the Iyagba dialect is still sometimes spoken. Most historic Yagba communities are found in the Ekiti Yoruba region where early iron working sites have been found (Obayemi 1992:73, 74).19 It is possible that Ife’s Yagba population was involved in complementary iron-working and smelting activities at this center. This tradition also offers interesting insight into Benin figures holding blacksmith tools with three similar facial marks, works said to depict messengers from Ife. characteristically show vertical line facial markings consistent with works linked to first dynasty Ife history and autochthony. Another 5 percent of Ife sculptures portray Edo (Benin) style facial marks (forehead keloids) or patterns today characteristic of northeastern Yoruba/Nupe communities (a diagonal cheek line and/or vertical forehead line). The remaining 5 percent of the extant Ife terracotta works show unusual “mixed” facial patterns (generally “cat whisker” motifs along with other forms). These marks may reference intermarriages (social or political) at Ife in the early years of the new dynasty. The notable variety of these facial patterns in ancient Ife art makes clear the center’s importance as a cosmopolitan city sought out by people arriving from various regional centers. Features of Ife cosmopolitanism revealed in part through these variant facial markings are consistent with Ife’s identity as a center of manufacturing and trade. Similar issues are raised in Ife origin myths that identify this city as the home (birthplace) of humans of multiple races and ethnicities. nose and part of a mouth also was collected at an estate in Ado-Ekiti and has been described as “identical with those from Wunmonije” (Werner and Willett 1975: facing p. 142). the heads were commissioned as memorial sculptures (ako) consistent with a later era Ife and Yoruba tradition of carved wooden ako effigy figures used in commemorating deceased hunters. This theory, which identifies the corpus of life-size cast heads as effigies of successive rulers of the Ife city state, however, is premised on an idea (now largely discredited; see also Lawal 2005:503ff.) that the works were made by artists over a several-hundred-year period (the reigns of sixteen monarchs). This theory is problematic not only because the styles and material features of the heads are consistent, but also because the heads were found together (divided into two groups) and share a remarkably similar condition apart from blows that some of them received during their discovery. The shared condition indicates that they were interred for a similar length of time and under similar circumstances. 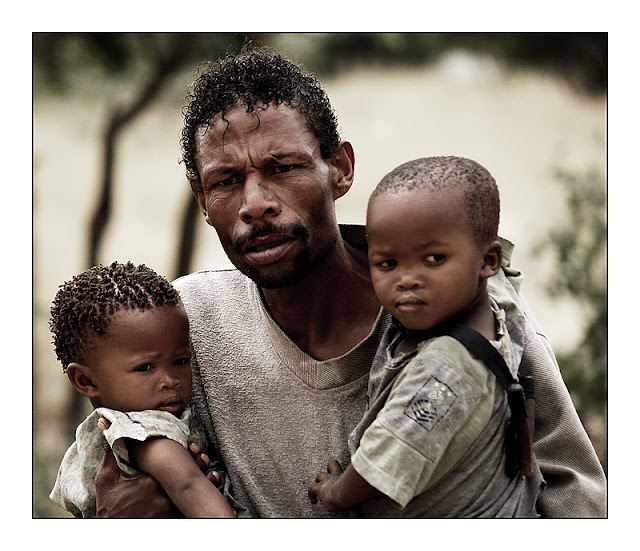 heads, one plain faced, the other with vertical line facial markings, are created (Oluyemi p.c.) (Fig. 30). Some of these ancient Ife life-size heads have plain faces. Others show vertical lines. These facial marking variables support the likely use of these heads in coronations and other rites associated with the powerful early Ife first- and second-dynasty-linked chiefs who were brought together as part of Obalufon II’s truce. The grouping of these heads, which in many ways also resemble the Obalufon mask (Fig. 1), together reference (and honor) the leaders of key families (now seen as orisa or gods) who had participated in this conflict. Obalufon II also created a new city plan as part of this truce, one in which the homesteads of these lineage leaders were relocated to sites circumscribing the center of Ife and its palace (Blier 2012). In the eighteenth–nineteenth centuries, when the city came under attack, the heads appear to have been buried for safe keeping near their original shrine locale after many centuries of use and their location eventually forgotten. There are several ways that the heads could have been displayed in early Ife ritual contexts, among these earthen stepform altars and tall supports similar to one photographed with heads in Benin in the late nineteenth century (Fig. 29). The latter staff would account for the presence of holes near the bases of these works. Wooden mounts such as those known today here as ako were fashioned to commemorate Ife elephant hunters. These also could have been used for display purposes. A perhaps related Ijebu-Ode known as okute and discussed by Ogunba (1964:251) features roughly 4-foot wooden staffs with a symbolic human head. These pole-like forms were secured in the ground and “dressed” during annual rites commemorating early (first dynasty) rulers of the region. among these edan Ogboni, consistent with the use of the Ife life-size heads in chiefly and royal enthronements overseen by the center’s Obalufon priesthood. arts. Not only are a majority of modern Yoruba copper alloy sculptures identified with both Ogboni and Obalufon, but the “sticks” (staffs) said to be secured to the modern Obalufon heads during display (Oluyemi p.c. ), a ritual and aesthetic continuum extending back to the ancient Ife Florescence Era. *As with the two Ife king figures (Figs. 15–16), differences in the ancient Ife life-size heads’ facial markings and other features offer additional insight to their identity and meaning. Half of these sixteen life-size metal heads display vertical line marks that I have identified with autochthonous (first dynasty) elites; the others have plain faces complementing the new dynasty’s denunciation of facial marking. As explained to me by the priest at the rural Obalufon temple where the grouping of copper alloy heads were housed: “there were sixteen crowns in the olden days, eight tribal and eight nontribal.” In using the term “tribal” here, he is referring to Ife’s autochthonous residents. Like the new city plan created by Obalufon II as part of his truce, these heads give primacy to the display and sharing of power by lineage heads of both dynasties. Other features of these works also are important. A majority of the plain-faced heads, but not the striated ones, include holes around the beard line probably for the attachment of an artificial beard of beads or hair. In the twentieth century, beards in Yoruba art often identify important leaders, priests, and others by signaling senior age status and rank.30 Because all the plain-faced heads include beard holes, but only a few with facial markings do, the plain-faced works seem to be linked to power and/or status different than that of the heads with vertical facial lines. The non-bearded heads conceivably reference ritual status and sacral power consistent with Obatala lineages today; the bearded heads instead seem to convey ideas of lineage leadership and political status consistent with the center’s new rulership line. nearly-pure copper heads additionally contain no detected zinc, a mineral that in the copper alloy heads ranges from 9.3–13.9 percent. Since half of the nearly- pure copper striated heads (two of the four) have beard holes, this small subset of works may have been intentionally differentiated in order to identify chiefs of both sacred and political status. One of these pure copper heads additionally displays red and black lines around the eyes (Fig. 28). This feature is said by Adedinni (p.c.) to identify a “most powerful person,” someone who is also a powerful imole (sacral power). To Obatala diviner Akintitan (p.c. ), these eye surrounding lines reference someone who “can really see,” i.e., a person with unique access to the supernatural power that imbues one with spiritually charged insight. Metal differences in these heads also carry important color differences that were significant to the ancient Ife patrons and artists. The pure copper works would have been redder, while those made from copper alloys were more yellow. The redder, nearly pure copper heads may have been linked to ideas of heightened potency or danger. And since casting pure copper is technically far more difficult than casting copper with alloy mixtures, the former heads also display greater skill, challenge, and risk on the part of the artist, attributes no doubt important to the meanings of these heads as well. This material feature, in short, also gives them special iconic power. The use of nearly pure copper in these works suggests not only how knowledgeable Ife artists were in the materials and technologies of casting, but also how willing they were to take related risks to achieve specific visual and symbolic ends in these works. scientific evidence. I concur with this assessment. The main art-producing era of early Ife, what I define as the Florescence Period (Ogundiran’s Classical Period) is distinguished by both roulette- and cord-decorated ceramics. Within a relatively short time span in this period, what I identify as Ife’s High Florescence, most of the early arts appear to have been made. One can date this period to c. 1250–1350 ce based on a range of factors, including the thermoluminescence tests of key metal works and the likely reign era of Obalufon II as delimited in Ife oral histories and king lists. It is this era that appears to mark the beginning of the “Odudua” or second dynasty of Ife. Associated with this High Florescence era are arts not only in “bronze” (Fig. 1) and stone (Fig. 2), but also terracotta (Fig. 24). The above time frame is consistent with the dating for Ife and its arts by Peter Garlake (1977:72), based on his excavations at the Obalara’s Land and Woye Asiri sites, both of which are closely linked to King Obalufon II whose descendant and current priest is Chief Obalara. From work Garlake undertook at the Obalara Land site, he would publish five radiocarbon dates reflecting three likely phases. The first is an initial occupation period of circa the twelfth century ce. The second phase constitutes a c. fourteenth century occupation period identified with the laying of the pavements, the creation of an array of sculptures, along with the site’s eventual fourteenth–fifteenth century abandonment. The third and final phase at the Obalara Land site consists of Post-Florescence era finds subsequent to the main site occupation and abandonment. Garlake’s recalibrated radicarbon dates (1974:146) for the Ita Yemoo site layer of terracotta sculptures excavated by Willett indicate a period potentially coeval with the radiocarbon dates of the Obalara’s Land sculptures (1312–1420 ce). As Garlake observes for this important and diverse group of terracottas (1974:146): “… on the dating evidence presently available, it seems that Obalara’s Land was occupied at the same time as Ita Yemoo although it is likely, but not certain, that Ita Yemoo was first occupied at an earlier date than Obalara’s Land.” The likely period of overlap between these two sites is 1310–1350 ce, or what I posit as the High Florescence Era. Thermoluminescence dates for the clay cores extracted from two of the Wunmonije site life-size heads indicate a similar period of 1221–1369 ce (Willett 1997:28). This period also is consistent with the likely reign era of Ife King Obalufon II. This dating additionally conforms with this king’s identity as the ruler who introduced bronze casting at Ife. A majority of Ife’s ancient arts thus were created in a relatively short time period, within a single generation of artists, in the early fourteenth century. consistent with artists working within the same broader time frame. Significantly, Garlake also furnishes evidence (1974, 1977) that Ife’s High Florescence Era came to a relatively quick end, a change accompanied by a notable shift in pottery decoration forms, specifically from roulette to cord impressions (see also Shaw 1978:155). west as Mali, Mauritania, and modern Ghana, suggesting that Battuta may well have learned of this center in the course of his travels in Mali. now have a much better understanding of both this important early city and its arts. 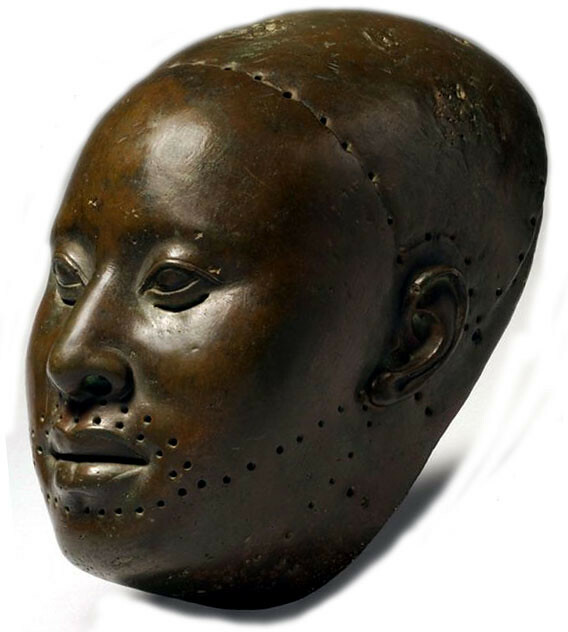 The life-size copper mask from Ife (Fig. 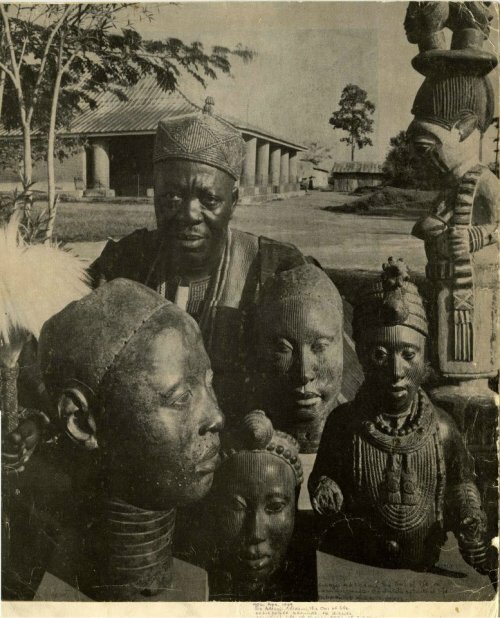 1), the ancient religious center of the Yoruba in southwestern Nigeria is one of the most familiar, yet enigmatic, of all African works in metal.1 It was first published in 1937 by the late king (Oni) of Ife, Adesoji Aderemi, in the journal Nigeria. The king identified the mask at the time as representing Obalufon II, a legendary early ruler of Ife who is credited with the invention of brass-casting at that center. This lifesize mask was said by the king to have been kept on an altar in the Omirin room of the royal palace at Ife ever since its manufacture. A near flawless casting in ninety-nine percent pure copper, it is one of the most beautiful and technically accomplished of all works from ancient Ife. Ekpo Eyo and Frank Willett date the mask to the twelfth through fifteenth centuries A.D.
Like related Ife brass and copper heads (Figs. 3, 4), the Obalufon mask is a work of extraordinary naturalism. Except for the characteristic Ife-style almond-shaped eyes and the distinct stylization of the ears, the face of the mask shows striking physiognomic accuracy. The naturalism of this work is heightened by its fully life-size proportions, and by the fact that it was apparently intended to incorporate an attached beard, for holes have been placed around the mouth and chin areas so that a beard could be inserted. (Fig 4) Zinc brass head from Ife, 12th-15th century A.D., h.29.5cm. from Ife, the Obalufon mask is distinct from these, for it was intended to be worn, and has narrow slits beneath the eyes, so that its wearer could see. In addition, holes have been placed around the mask's lower edge for the attachment, presumably, of a costume or robe. may ultimately be linked. Masks in any medium are extremely rare among extant works from ancient Ife. The identification of the life-size copper mask from Ife with Obalufon II is further supported by the importance of metal masks in the corpus of later Yoruba Obalufon religious arts. It is quite possible that the copper Obalufon mask may have served as a prototype for this later Obalufon cireperdue tradition. The meaning and role of the Obalufon mask at ancient Ife have not been thoroughly explored. Only three scholars have attempted to discuss the possible function of this work. Leon Underwood was the first. He noted that "The slits beneath the eyes indicate its use . . . in some sort of ceremony." Justine Cordwell next commented that it may have had a funerary use, asserting that ". . . the life-size, naturalistic portrait mask . . . could be worn on the head of a living man, who. . . bowing and waving, thus [carried] to the ultimate the illusion of the return of the dead ruler." in such a funeral ceremony . ."
of the Yoruba people. In this analysis the first theme will be coronation ceremonies at Ife. It will be argued that the mask is integrally associated with these ceremonies and with the related rites of rulership transition. Following this, the figure of Obalufon II and his place in the early formation of the Ife state will be discussed. The mask will be seen to symbolize Obalufon's role in assuring the future of the citystate through his association with problems of the succession of rulers and popular support for the throne. Later Obalufon religious arts and liturgies (explored as a distinct corpus here for the first time), can be seen to reinforce the identity of the mask both with themes of coronations and with the exigencies of autochthonous rule. The well-known Ife brass and copper heads as well as a number of other cire-perdue works from the period also may be associated with these ideas, for they, like the mask, appear to be identified with Obalufon and with succession to the throne. descendants, this author explains, play a major part in the coronation ceremonies of the new king. The original Obalara was the son of Obalufon, and, as Eluyemi has noted (p. 41), the Obalufon priesthood to this day has remained within this family. ceremony takes place at the Igbo-ade where he receives gifts in multiples of 201 on the day before the work of the new Oni begins." the throne of Obalufon, according to Palau-Marti (p. 22). Additional support for this linking of the Obalufon mask with ceremonies of royal investiture is found in the fact, discussed by Ogunba, that the word Obalufe (the title for certain Ife priest-chiefs), means "king or chief at Ife" or the "the king or important person who owns Ife." ceremonies. According to Lloyd, during Yoruba coronations reenactment scenes drawn from the early period of the city-state were often presented. In such performances, the indigenous inhabitants of the city had a central place. Indeed in many Yoruba cities, the event often took place at one of their compounds. In view of the important place of Obalufon in the Ife coronation rite, it is quite possible that a scene drawn from the life of Obalufon (similar perhaps to the Ede reenactment - see p. 389) may have been incorporated. A priest wearing the Obalufon mask might have had a central role in such a dramatization. In view of the apparently close association of the Obalufon mask with coronations, the question naturally arises as to why Obalufon II would have been so closely identified with the succession of rulers at Ife. The answer appears to lie in the figure of Obalufon II himself, who, as Ife's third ruler, played a decisive role in political events of the early city-state. Obalufon II is presented in Ife oral accounts as a powerful ruler who, after being dethroned, returned to power and brought the city's diverse factions into accord, thereby assuring the future of the newly emerging state. oral accounts do not discuss any trauma or difficulty associated with Obalufon II's death, it can be inferred that he died peacefully of old age. Following his death, Obalufon II is said to have been buried near the Wunmonije compound) at the palace. Frank Willett, however, believes that this grave is identified with Lafogido rather than Obalufon. It is here that the brass and copper heads that are stylistically similar to the Obalufon mask were also buried. The events surrounding Ife's founding and Obalufon II's role in the early Ife city-state are described in some detail in Ife oral accounts. Present-day scholars of Yoruba religion such as Idowu (p. 23) and Awolalu (p. 27) see the city as developing its political and religious primacy as a result of the arrival of a militarily powerful group of foreigners who were part of a distant branch of the Yoruba people. Unfortunately the name of the leader of this group is not known, because in the accounts his identity is subsumed by that of his patron deity, Odudua. Odudua is portrayed as a primordial divinity and as a deified ancestor." This foreign ruler was, however, by all accounts a strong and politically effective leader. One of his most important decisions was to establish a series of marriage alliances with the local populace. Accordingly, both he and his party married indigenous women "of the land," in order to create a new generation of Ife residents who, in Idowu's words (p. 24), "... . would be at home in both worlds . . . people who were without bitterness towards either of the opposing parties." In the course of these marriages, the new ruler fathered a number of children, many of whom eventually set out to found their own dynasties in other Yoruba states. In addition, during his rule there appear to have been frequent attacks against the palace by the indigenous occupants of Ife. Into this insecure political situation Obalufon II was thrust when, following Obalufon I's death, he appears to have ascended the throne. So weakened was the city-state of Ife by this time, that soon after he came to power, Obalufon II was forced from the throne by a man named Oranmiyan. According to one account (Verger, 329), it was against Obalufon I that Oranmiyan fought to take over Ife rule. This account states that when Oranmiyan ". . . learned that Odudua had died and that Obalufon had inherited from his mother, and had become first king of Ife, Oranmiyan sent a message to Obalufon, menacing him with death; Obalufon fled to Ido, fifteen miles from Ife. Oranmiyan . . . stayed a certain time at Ife, then went to Oko Igboho and finally Oyo... " The confusion of the two Obalufons and their respective reigns also occurs in Yoruba religious ritual associated with Obalufon (see n. 35). (Johnson, 8). This view of Oranmiyan as a usurper is also suggested by Frobenius (p. 205), who notes that Oranmiyan's father was a man named Laro, and that Oranmiyan had ". . . once conquered [Ife], but was driven forth again." Ulli Beier argues in turn (Yoruba Myths, Cambridge, 1980, 65) that Oranmiyan may not even have been part of the royal line. He asserts that Oranmiyan is ". . . obviously representing a late immigrant with no real land rights." the first party that Obatala sent to Earth (Idowu, 20). Both versions express concern for a legitimate claim to the Ife lands (i.e., creation of) and, in turn, control over them. Though the accounts differ as to the creator (Odudua or Obatala), they both indicate that the hunter Ore (Oreluere) had rightful claim to the land. Interestingly, according to T. J. Bowen (Adventures and Missionary Labours in Several Countries in the Interior of Africa from 1849 to 1956, London, 1857, 267), the "great mother" of the Yoruba is worshipped under the name of Iymmodeh (Iya ommoh Oddeh) "the mother of the hunter's [i.e., Ore's] children." were menacing the capital. When she later escaped, she went home to tell Oranmiyan of her discovery. In Obalufon II's subsequent raid, his men were met by Oranmiyan's torch-bearing warriors who soon "unmasked" and defeated the autochthonous troops. of Ife. This move brought to the throne not only a forceful leader, but also one who had the strong support of the original Ife inhabitants. With the return of Obalufon II to Ife, the autochthonous Ife citizens also appear to have returned to this center, and the second part of Obalufon II's reign appears to have been marked by peace and prosperity. Alashe (Oluorogbo). Alashe (Oluorogbo) is also said in some accounts to be Moremi's husband (R. E. Dennett, Nigerian Studies, London, 1910, 23; Fabunmi, 9). Other examples of Ife art of this period have been found in the Iwinrin or Igbo Grove, a sacred area closely identified with the original Ife inhabitants. In addition, both Obatala, Obalufon's patron deity, and this deity's wife, Yemo, have shrines at Ife. Odudua and several of this god's wives, Olokun and Omitoto-Ose, also have shrines. Oranmiyan's father, Ogun, and several of Oranmiyan's warriors have shrines with art of this period as well. According to Willett (pl. 77), this stool was found in the Ife Oluorogbo grove. The leader of the autochthonous peoples, Ore (Oreluere), also has a shrine. At the back of this area is a stone carving representing Ore's gate man, Edena (this sculpture is now in the palace museum). festival held in honor of Obatala, the deity associated with Obalufon, and the original residents of Ife. The associated song/prayers reinforce the importance of Obatala and the indigenous Igbo at this festival. The following was recorded by Adedeji (p. 329). They then asked where else could the secret be found?" limited to the original owners of the land." provide few further details on this matter. Most probably, however, Obalufon II's close association with the Ogboni society was the basis of his identification with the introduction of brass casting. It seems very plausible that with the return of Obalufon II to the throne, the Ogboni society gained legitimacy and considerable power at the palace. Their arts presumably also flourished at this time. It was, it would appear, because of Obalufon's association both with brass casting and with peace and legitimate rule at Ife that the copper mask bearing his name came to be associated with coronation ceremonies at Ife. Further evidence that reinforces the identity of the Obalufon mask with coronations and themes of rulership is found in the religious rituals and beliefs that developed following Obalufon II's eventual death and deification. In the present era he has been, as we will see, viewed both as the god of good government and as the patron deity of the arts of beadwork, brass casting, and weaving. In addition, brass crowns and masks form a significant part of the Obalufon art corpus. Obalufon II, like many great Yoruba rulers, was deified at his death. According to Idowu (p. 69) "Obalufon is one of the divinities worshipped at Ile-Ife and all over Yorubaland. But he began by being an ancestor." Unlike other Yoruba deities such as Shango, Eshu, Ogun, Odudua, and Ifa, this god has not been the object of any study, nor have the wealth and diversity of religious ritual and art associated with him been examined. Although today Obalufon's followers are found in many parts of Yorubaland, Ile-Ife still remains an important center for Obalufon worship. Ulli Beier notes (Yoruba Beaded Crowns, London, 1982, 9), that while Obalufon is worshipped in a number of Yoruba towns, his worship is especially identified with Ife - just as Shango's worship is especially associated with Oyo. Although it is Obalufon II who is generally viewed as the ruler who is deified as "Obalufon," it should be noted that Obalufon the god seems in some cases simultaneously linked to both rulers bearing that name. Thus while Abraham asserts (p. 491) that it was Alaiyemore (i.e., Obalufon II) who is worshipped as Obalufon, Fabunmi indicates (p. 10) that the worship of Obalufon is identified with Ogbogdirin (Obalufon I). Although the assimilation of the two kings in Obalufon worship appears to be a natural outgrowth of their close association with each other (and the fact that they share the same name), most of the rituals, religious tenets, and works of art of the Obalufon association seem to be identified more closely with Obalufon II and the various attributes of his rule. and Owinrin Meji should be equal in rank, taking turns in priority. There are interesting parallels between this Ifa account and legends of Obalufon's life, and that of his own deity, Obatala (see n. 23). This is particularly true in the discussions of his powers, habits, and associated symbols. Interestingly, in the division of orisa at Ife between those who are followers of Obatala and those who are followers of Odudua, Obalufon (along with Agemon, Osonyin, Esidale, Obameri, Oranyon, Moremi, Obameri, Eleshije, Ija, and Olokun) is often identified as a supporter of Odudua (Forde, as in n. 27, 37; Abraham, 483). According to Fadipe, Obalufon is the god of warriors; to Farrow he is the god of peace or, more specifically, peace of the kingdom. S. S. Farrow, Faith, Fancies, and Fetish, London, 1926, 59. Obalufon, in his deification, is also associated with uprightness and high ethical standards. This appears to have partial basis in Obalufon's support of Obatala (the god identified with ethical purity) against the insurgent followers of Odudua (Adedeji, 336). Adedeji suggests accordingly that ". . . like Obatala, he is the embodiment of morals and ethics of the Yoruba." These qualities are especially important in the selection of Obalufon priests. Thus, Awolalu notes (p. 170), Obalufon worship is sometimes suspended if a priest of high moral character cannot be found. At Owu-Ijebu he explains, ". . . worship was suspended because it was difficult to get a man of high probity and integrity to preside at the shrine of Obalufon. The Oba explained to the people the high standards required of a presiding priest and added 'If a man has evil mind and still has the audacity of coming to officiate at the shrine of Obalufon such a man will not last the year. that Obalufon may have been the deity of speech as well (Talbot I, 87; Verger, 452). This is based on the identification of Obalufon as the first man on Earth. According to Bowen (as in n. 26, 314) "the name of the first man was . . . Obbalufoh, and the name of his wife was Iye. They came from heaven and had many children. . . Obbalufoh means the King or Lord of Speech, because the first man was the first speaker; Iye .. signifies life." Verger points out, however, that this identity appears to be a mistaken one since Bowen apparently confused Obalufon with Osalufon (or Obatala). Obulafon II's life. He was known as a valiant, relentless, and ingenious war leader who never gave up in his fight to gain back his throne, and who never turned his back on the autochthonous peoples without whose support peace would have been impossible. It is Obalufon II's association with peaceful and prosperous rulership that is emphasized accordingly in the Obalufon offerings in Ilawe, Ekiti, where Obalufon is the tutelary deity. The relationship between Obalufon and prosperous rulership is reinforced in the religious ceremonies associated with this deity. According to Awolalu (p. 105), during the offerings to Obalufon in Ilawe, it was the representative of the king who brought the offerings of the people to the Obalufon priest. This royal representative knelt down before the priest... and prayed for everybody and everything in the community." In addition to being closely tied with kings and the peace and prosperity of their reigns, the deity Obalufon is also associated with a number of Yoruba art forms. Thompson identifies Obalufon as the patron god of beadworking, today the principal material of the royal crowns and scepters. Robert Farris Thompson (Black Gods and Kings: Yoruba Art at U.C.L.A., Los Angeles, 1971, 8:1) explains accordingly that, "Men like to be different. The deity Obalufon therefore invented beads and strung them in different colors on bracelets and necklaces so that gods, and men who follow them, might stand in proud distinction . . ." In other Yoruba areas, however, beadwork is more often associated with Olokun. Verger (p. 452) and Abraham (p. 501) describe Obalufon (Balufon) as the patron deity of weaving and clothing. Obalufon is also generally viewed as the patron deity of the various brass-casting arts. William Fagg suggests that this association is fairly common throughout Yorubaland. of Obalufon with the brass-casting arts is found in the fact that at Obo Ile, Obanifon (Obalufon) is used as the generic word for all works in this medium. 1/18). One of these masks also was called Obanifon (Obalufon). for the identity of the classic Ife copper mask with Obalufon and with coronations. This parallel, in turn, offers evidence for a possible thematic continuum in Obalufon arts extending from the present era back to the time when the Ife Obalufon mask was made. In addition to brass masks and scepters, Obalufon is also associated with brass crowns. Several of these have been documented; one is illustrated by Thompson (p. 10). This Obalufon crown (Fig. 7) is from Obo-Aiyegunle, Ekiti. It incorporates central and side faces around its base, and is surmounted by a bird. Frank Willett photographed another brass crown associated with Obalufon (Obanifon) at Obo Aiyegunle (Thompson, p. 13, personal communication from Willett). The identification of these brass crowns with Obalufon suggests another parallel with Ife Obalufon traditions, for in these, it will be recalled, crowns and coronations were all-important concerns. (Fig 7 Obalufon brass crown from town of Obo-Aiyegunle, Ekiti. Figural traditions in brass are also associated with Obalufon. Geoffrey Parrinder, in his description of the Obalufon shrine at Ibadan, notes (Religion in an African City, London, 1953, 30) that the door of that shrine could not be opened by the uninitiated for fear that they would be struck blind, suggesting to Parrinder that the work inside could have been of brass, a material whose shine might have been identified with such a response. The only example of an Obalufon brass sculpture that has been published to date is in the Nigerian National Museum at Lagos. This work is one of a pair of Obalufon brass sculptures from Ijebu-Ode. A distinctive attribute of this sculpture is the portrayal of fisted hands placed parallel to the ground in front of the body. The work appears to portray serpents issuing from the nostrils, a feature very unusual in Ogboni brass sculptures but occasionally found in ancient Ife art and in Benin brass-casting traditions. The motif of the serpent issuing from the nostril is also found on Benin "Spirit" heads and Agwe masks, on the headdress of the "Tsoede" warrior figure, and on several works from ancient Ife. Stylistically, the published Obalufon brass figure shares closest ties with face bells from the Yoruba area around Ijebu-Ode. These bells, Thompson notes (79, n. 13), are identified with royal lineage chiefs. This similarity is reinforced by the fact that the head of the published Obalufon brass figure is cast separately from the body, so that the head, when seen alone, looks remarkably like these bells. A spike that extends from this head is inserted into the hollow brass torso, the two parts then being strapped together. The corpus of Obalufon-related arts is, as we have seen, quite diverse. Several features of these sculptures, however, suggest that they may have parallels with the Obalufon mask from ancient Ife. These attributes include the predominance of brass in Obalufon art in general; second, the importance of crowns and masks among these cireperdue works, and third, an emphasis on rulership and coronation themes in the rituals and religious forms of Obalufon worship. These more recent Obalufon works clearly reinforce the identification of the ancient Obalufon mask. Visual and thematic evidence suggests that the Obalufon mask may be associated with the ancient Ife terra-cotta head of a court servant named "Lajuwa" (Fig. 9). The terra-cotta head that is said to represent Lajuwa was published by the late Ife king, Adesoji Aderemi, at the same time as the Obalufon mask. Johnson further notes (p. 163), that "The Osi-efa is always the first as well as the last in the king's chamber. If the king is ill, he takes his place on state occasions, putting on his robes and crown; in war he appears as the king's deputy, invested in all the paraphernalia of royalty." Perhaps related to this practice of a court figure being asked to portray the king for certain state events is a tradition at Ife described by Idowu (p. 208) and Willett (p. 150) in which it is said that a particularly beloved king died, and one of his servants decided to hide his body and pretend that he was still alive by wearing the royal regalia himself. The hoax worked for a time, but eventually it was discovered. The new king, furious that he had been kept from the throne, ordered the servant and the palace artists to be killed. The court servant who is said to have masterminded the deception is identified as Lajuwa, the chamberlain of King Aworokolokin. Lajuwa, Willett notes (p. 57), is now identified as the patron deity of palace servants. Interestingly, Hambly, in his description of the Lajuwa head (p. 465) identifies it as "Lajuwa, the messenger of Onis," suggesting that Lajuwa's role at Ife may have been more that of a representative/advisor than a servant per se. He may have acted as a trusted aid and surrogate of the king. The Obalufon mask, as Willett has noted (p. 150), could easily have been worn by someone intending to impersonate the king. It is tempting to suggest in this light that the Obalufon mask may also have been worn by designated court officials in their roles as representatives of the king. Yoruba crowns today incorporate a long fringe of beads that hide the ruler's face. Sculptural portrayals of ancient Ife crowns (see Fig. 10) show no such fringe, suggesting that a naturalistic mask might have been an important part of the representative's costume. Possibly the Obalufon mask, through its identity with royal investiture, also had a secondary role in masking those at court whose duty it was to serve as royal personifiers. (Fig 10) Ife brass figure of a king, 12th-15th century A.D., h.
commemorations. At Owo the documented use of a naturalistic wooden Ako memorial figure was seen to offer a contemporary counterpart for this tradition. This theory, though still held by most African art historians, has been brought into question by several scholars. Kenneth Murray in a letter to Odu was the first to raise doubts about this view, basing himself primarily on the stylistic congruity of the works involved. He notes that these cast life-size heads appear to have been produced within a relatively short period, probably by one or two artists working within a close-knit school. Indeed, according to Murray, ". . . it might be argued that only one artist, working perhaps for only a couple of years, made the majority of the heads." twenty, or thirteen, years times fifteen heads). This time span is far too long, since they show remarkably few stylistic or formal elements of variance. Equally problematic is the fact that the heads are all in a somewhat similar condition (apart from blows that some of them received) suggesting that, rather than having differential lengths and places of burial, they were probably all buried for about the same length of time, under the same or similar conditions. made over the course of several centuries. Garrard has shown that brass "gold weights" from the kingdom of the Ashanti in Ghana during the same time span show equally striking changes. Great differences can also be seen, as Rosenwald points out, between the early and late commemorative figures of the Kuba kings, even though they were made over a much shorter period. Willett was aware of the problems in the several hundredyear period of manufacture that his memorial theory necessitated. He suggested accordingly (p. 130) that Ife kings may have been ritually killed after a short reign of only seven years. There is, however, no evidence for the ritual killing of kings in any of the accounts of Ife history, nor in the other Yoruba city-state histories. The only evidence that Willett cites as support for his contention is an account given by Ulli Beier coming from the southern Yoruba city of Ijebu, which refers to traditions about events assumed to have taken place in Ife. "..if [kings] are honored as seconds of the gods . ..
with it the way the known ako are treated?" Murray and Abiodun have not, however, suggested any alternatives for the possible meaning and use of these heads. It is just such an alternate theory that the above discussion of the Obalufon mask may now permit. I propose in this light that these heads, like the life-size copper mask, may have been identified with Obalufon II and with his later worship as a god. There is considerable evidence to support this view. First, all the brass and copper life-size heads from Ife were found in the Wunmonije compound (Fig. 6),6 a part of the capital that is said to be near the place where Obalufon II himself was buried. According to Fabunmi's map (n.p. ), this is also near the place where the new kings of Ife are crowned. It is also possible that these heads may have originally been housed on an Obalufon shrine, on the analogy that at other Yoruba centers, brass crowns, masks, and figures are frequently found on shrines identified with this deity. suggests, to be seen with actual crowns, and if, as stated above, these crowns were kept on the Obalufon shrine, it follows that the heads and the crowns would have been kept together. originally been found. Since the heads were buried near the assumed grave of Obalufon II, it seems likely that originally they had also been associated with this ruler. THIS ESSAY CONSIDERS one of the most important Yoruba cosmological referents, the plan of the capital Ile-Ife and its palace (fig 11.1), and examines a number of artworks associated with this urban center, especially at its height around 1300 CE. The Yoruba cosmos has often been compared to a gourd or calabash cut horizontally so as to form a separate base and cover, with the upper half identified with the sky-linked creator god, Obatala, the lower half with the earth god and new dynasty founder, Odudua (see Lawal, this volume). The form of the gourd sometimes is used in scholarly diagrams that seek to show the Yoruba cosmos as a well-ordered layering of human and supernatural actors (see fig. 12.6). In my view, however, this neatly delimited model reflects in part a Western taxonomic conception, since to the Yoruba, religious forces and persona are continually moving, intersecting, cross-pollinating, challenging, and energizing one another (and humans) across a myriad of celestial and earthly spheres. Human and sacral worlds, in short, are conjoined here. some 125,000 inhabitants in that era, offers important clues into early Yoruba views of both cosmology and directional primacy. sculptural arts, in particular, the ancient terracotta head identified with the early King Osangangan Obamakin (Obalufon I), which was not supposed to ever see the sun. Ife oral histories note that this sculpture was shielded by an overturned pot to safeguard it from daylight. This practice also may have political and temporal connections to this king based on his prominent associations with the first dynasty at Ife, the era prior to Odudua’s arrival and cultural enlightenment. Significantly, it was this same king (now god) who is credited in Obalufon family myths with bringing light to earth, an act that complements the use of shining, reflective mica for the diadem on the royal Ife crown (are) that Ife’s Obalufon priest places on the head of each newly crowned king. suggests, with the ancient thunder and lightning god Oramfe (Ora). Its name, osupa Ijio, “the Moonstone of Ijio,” also links it to Ife Chief Obajio (Oba Ijio), the head priest of Olokun, the ancient god of large water bodies (the ocean), trade, and beads. The close link between lightning, thunder, rain, bodies of water, and the annual cycle of the seasons seems in this way to have informed this unusual now-missing object. (Fig11.2) Ita Ogun Esa “sun dial” menhir (dating ca. 1300 CE) located near the Obatala Temple, Ife. The early Ife god of thunder and lightning Oramfe (Oranfe/Aramfe, Ora, the precursor of Sango) is identified at once with rain (storms), royal power, and jurisprudence. E. B. Idowu identifies Oramfe additionally with control of the solar system. Euba not only describes Oramfe as Ife’s once powerful “solar-thunder god,” but also characterizes this “high god” as Ife’s “most senior of the humanized spirits,” honored simultaneously as Onile Ina, “Owner of the House of Fire,” and Ooni Ale, “Owner of the Land.” She also highlights Oramfe’s identity as “the Olodumare of the Ife” (since both are “worshipped in the same simple way”), noting that Oramfe’s Oriki praise names identify him, in turn, as the “supreme ase,” namely Orisa. Following one particularly active lightning storm in Ife in 2004, I was told that powerful local babalawo (healers, diviners) would come out to collect the fallen celts (thunderbolts) for later use in making potent medicines, pointing to connections between these celts and an array of protective or empowering medicinal forms. wings. When asked about the significance of birds with this wing attribute, Chief Obaluru noted “this bird was sent to people by Oramfe when he wanted to do favors for them.” The bird, he explained, carries Oramfe’s lightning and thunder celts to earth, and will bring both punishment and favors from this god to humans. The exact species of this bird can be debated, but it may depict the owl resembling African pennant-winged night jar (Cosmetornis vexillarius). When in flight, its white flash of under feathers is reminiscent of lightning. The birds, known to the Yoruba as ase, the phoneme se referring to a command or order, also evoke larger Yoruba notions of authority and power (ase) linked to Oramfe, the thunder, lightning, and omnipotent solar-linked god who safeguards society and helps to preserve effective rule. The pennant-winged nightjar also carries certain sorcery associations here, actions that Oramfe was believed to counter, connecting this sculpture to both positive (kingship) and negative (sorcery) ends. A grouping of menhirs, or tall standing stones, is among the most interesting of ancient Ife artworks that carry cosmological significance. These monuments were a major part of the Ife landscape of circa 1300 ce—and still are today. Sculpted from granite in the same period as the famous Ife copper alloy castings and terracottas, they were erected in various parts of the city, often in conjunction with temples, shrines, and groves. Many carry features that offer insight into ancient Ife beliefs about the cosmos. at Benin and Oyo. 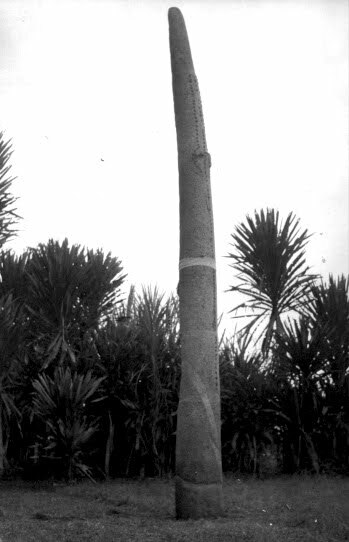 Oral tradition suggests that this tall granite staff represents the sword Oranmiyan used to fell Ife’s citizens, a weapon he purportedly thrust into the ground before leaving Ife for good. Most likely this monument was created and positioned in Ife in the era following his departure during Obalufon II’s second reign, in conjunction with the truce he forged after Ife’s painful civil war. This was a period when many of the famous early Ife heroes appear to have been commemorated with shrines and associated sculptures. beaded staff carried by the Ooni in the course of the annual Olojo ceremony, a context in which the richly costumed and crowned king is said to attract rain. As such the Oranmiyan monument also seems to symbolize the power of kings to control storms and rain, a characteristic linked both to Oramfe (the ancient thunder god) and to Sango (the Oyo-linked god identified with Oranmiyan). stone with the Obatala temple complex reinforces the larger celestial associations of Obatala with both the heavens and related light. functioned as a sundial (calendar stone, gnomon), in this case probably helping to determine the best time for planting yams and other agricultural produce. This menhir, like the one identified with the Obatala temple, is thus linked in important ways to the cycle of time. Yet another menhir, a work once positioned in the Ore Grove (and now located in the National Museum, Ile Ife), stands about 5 feet 2 inches above ground and incorporates the unusual pattern of four holes cut roughly equidistant from the other (and between 11 and 16 inches apart) in such a way that they run down each side of the four-sided column. Iron inserts were secured in four of the holes, only the bases of which remain. The work is thought to have had spiral-shaped inserts of iron similar to those embedded in the Oranmiyan staff. Frank Willett notes that these holes were positioned consistent with the cardinal directions, suggesting that the menhir is associated with cosmological order. An additional stone form with a plausible cosmological reference was housed at the palace Ogun temple, Ogun Ladin, this work integrating a pattern of four holes marking the corners of a square, at the center of which was a fifth stone, suggesting the four cardinal points and the sun at the middle. In many ways this form also suggests a schematic model of the city itself, with its historic four main entries leading through the walls into the city center where they meet at the palace and nearby market. Ife is an unusual city in many respects, not the least of which is the number of different plans that figure in its conceptualization. At its most basic, Ife is a central-plan urban center, with its (originally four?) main avenues at one time piercing the city walls near the cardinal points and joining at the palace and market that delimit the center, a plan similar to many other early Yoruba walled cities. In addressing both the Ife city plan and the cardinal directions, the local Yoruba concept of north (traditional north, e.g., northwest) is employed, one that defines the directions vis-à-vis orientations several degrees off true north, probably as determined around the time of the winter solstice when the sun sets on the horizon in its most westerly position. a worshipper creates a circle of ashes or white chalk on the ground, in the center of which he places an offering, the circular form is seen to reference eternity. The cardinal directions clearly constitute one of the key means through which the Ife space, planning, and time are delimited and experienced, a factor reinforced through the array of ancient potsherd or stone and potsherd pavements that mark this center and its past. These are largely oriented approximately northeast to southwest or to northwest to southeast, consistent with an overall cardinal direction primacy. In the historic Ife city plan, the palace is at the center (see fig. 11.1). Each grouping of gods also has its place consistent with their religious and cosmological associations. In the section of the city broadly to the east of the palace are the shrines of Ifa (Orunmila), the god of divination, located atop Ife’s highest hill (Oke Tase). Also east of the palace is the main Edju (Eshu, Esu) shrine, dedicated to the Ifa divination-linked messenger god. The temple of Olurogbo, the ancient Ife messenger between humans and gods is located in this sector as well, as is the Ife shrine to the moon goddess. These Ife temples seem to share an association with heavenly communication, consistent with the positioning of the king’s residence (bedroom) on the eastern side of the palace. (Sango’s wife), but also the Ife god of agriculture, Orisa Teko. At this latter temple, also sometimes called Ijugbe, were observed stone seats, a large copper alloy frog pierced by an arrow, and a ram fashioned from quartz, the latter used for offerings during the annual March festival cycle. The military conqueror and cultural hero, Oranmiyan, who is identified variously as the father or son of Sango in Oyo (Yoruba) contexts, has his monument west of the palace as well. In the northern quadrant of the city is the main Ogun temple, dedicated to the powerful god of war, iron, and the advancement of civilization. Also found in Ife’s northern quadrant is the temple of Orisa Akire, the autochthonous Ife warrior god. Another temple, this one dedicated to King Obalufon II, founder of Ife’s second dynasty and the main king/deity credited with enlarging Ife’s road system and establishing its city plan, is sited in the city’s northern sector as well, not far from the western city wall and gate leading toward Ibadan. Both the Ife palace and the Obalufon temple face north (northwest), the direction important to Ogun. In the southern quadrant of Ife is another grouping of Ife sanctuaries. These are identified with Obatala (the sky god), Olokun (the sea god, also Olokun Walode), and an array of royal burial sites or shrines (Wunmonije, Lafogido, and Igbo Odi). Each cluster of Ife gods thus is identified with a different quadrant of the city, consistent with its cardinal and broader cosmological associations: east (with life and renewal: Ifa, Eshu), west (with dark skies and storms: the thunder and agriculture gods: Oramfe, Orisa Teko), north (with power, war, and technology: Ogun), and south (with creation, fertility, and the ocean: Obatala, Olokun). The importance of the sun and moon within the city landscape and the cardinal orientation of the four main avenues and palace show that space in Ile-Ife carried sustained cosmological significance. Taken together these diverse sculptural, architectural, and ritual forms point to the high degree of early and ongoing Ife interest in cosmology, issues referenced not only in the primacy of cosmological attributes (the sun, the moon, lightning) but also in an array of important calendrical features (stone menhirs functioning as time markers), as well as roads, pavements, palaces, and temples linked to the cardinal directions. The Olojo Festival is a festival in Ife, Osun State, Nigeria. It is the celebration of the remembrance of “Ogun” the god of Iron, who is believed to be the first son of Oduduwa, progenitor of the Yoruba people. On this day, the Ooni (king of Ife) appears after several days of seclusion, communing with the ancestors and praying for his people. This ritual is to make him pure and ensure the efficacy of his prayers. Before the Ooni emerges, women from his maternal and paternal families sweep the Palace, symbolically ridding the Palace of evil. At the shrine, the traditional Chiefs with the swords of office marked with chalk and cam wood, appear in ceremonial attire and dance to rhythms from Bembe, a traditional drum. The style of drumming and singing for each Chief is different. Only the Ooni can dance to the drum called Osirigi. Olojo has remained popular in Ile-Ife due to its myth and history. It connotes the day in the year specially blessed by Olodumare (the creator of the Universe). Olojo can also be literally translated as the “Owner for the day”. Prayers are offered for peace and tranquility in Yoruba and Nigeria. All age groups participate and it’s significance is in the unification of the Yorubas.